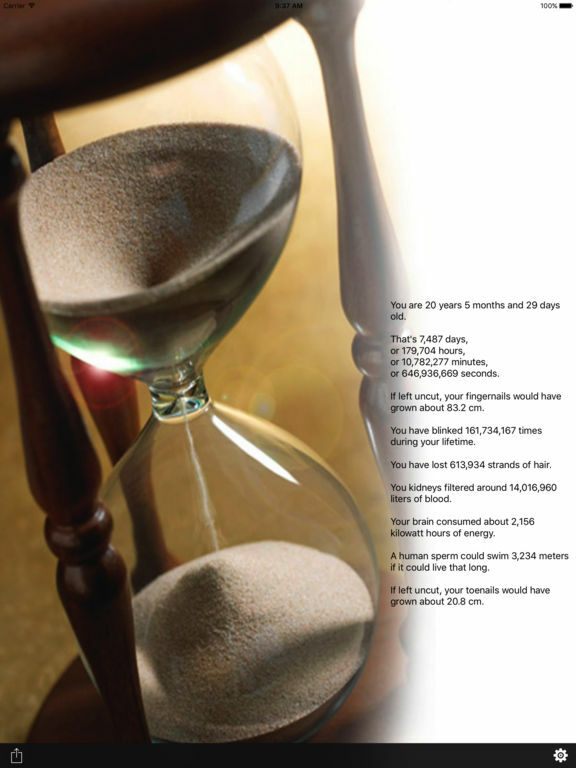 Use lifetimer to find how many seconds, minutes, hours, days, months and years someone are, based on the birth date. 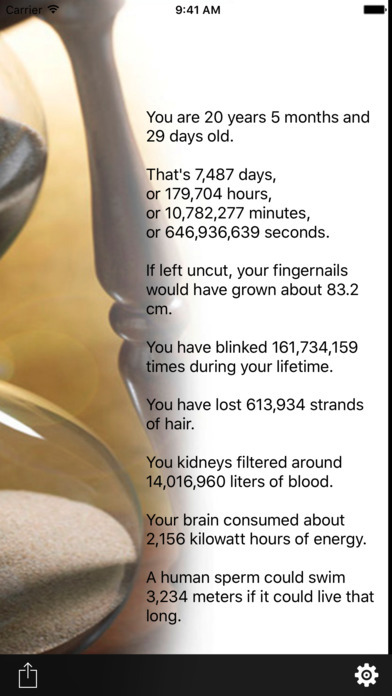 It also shows interesting facts about your body. Share it as a neat birthday greeting by tapping only one button. Added iPad Pro app icon.